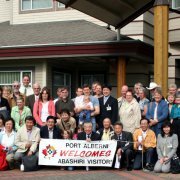 Since 1986 the City of Port Alberni and the City of Abashiri, Japan have been engaged in a twinning relationship to foster a mutual understanding and friendship between the two communities. Through frequent visitor and student exchanges this longstanding relationship has also helped promote economic, educational and cultural awareness and contributed to the good will between Canada and Japan. 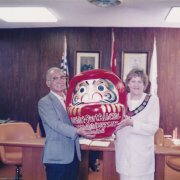 Mayor of Campbell River, which is the Sister City of Ishikari, Japan, introduced Port Alberni to Abashiri. 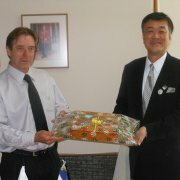 The Abashiri officials visited Port Alberni to participate in discussions of forming a Sister City relationship. A twelve member group, including Mayor Gillian Trumper, visited Abashiri. 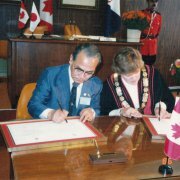 The Sister City Agreement was signed on February 9th. 1986. 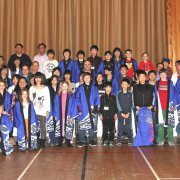 March To commence the Student Exchange Program, a group of 77 students from Abashiri visited Port Alberni. A 19 member group, including Mayor Tetsuo Ando and Mr. Koubun Ohbayashi, President of the Sister City Society, visited Port Alberni. 1987, August The 10 month Cultural Exchange Teacher Program was started with the first teacher, Diane Perkovic, arriving in Abashiri. The 10 month Cultural Exchange Teacher Program was started with the first teacher, Diane Perkovic, arriving in Abashiri. The first three high school students from Port Alberni arrive in Abashiri. 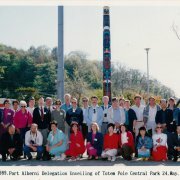 Port Alberni presented a totem pole to Abashiri. It was first placed in Abashiri Central Park but later moved to the Abashiri Echo Centre in 2000. 1990, February A japanese garden was built in Port Alberni. The 5th anniversary event of the Sister City affiliation was held in Port Alberni. A fourteen member group, including Mayor Tetsuo Ando, visited Port Alberni. The 10th anniversary event of the Sister City affiliation was held in Port Alberni. 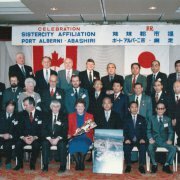 A forty member group, including Mayor Tetsuo Ando, visited Port Alberni. 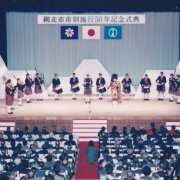 A 12 member group, including Mayor Gillian Trumper, and a 18 member bagpipe band attended the official ceremony of the City of Abashiri's 50th anniversary. The 15th anniversary event of the Sister City affiliation was held in Port Alberni. 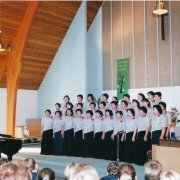 The Abashiri Hamanasu Women's Choir concert was held at the First United Church in Port Alberni. The 20th anniversary event of the Sister City affiliation was held in Port Alberni. A fifteen member group, including Mayor Osamu Oba, visited Port Alberni. 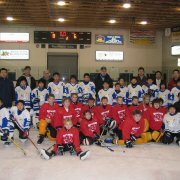 The Abashiri North Stars hockey team visited Port Alberni. The Port Alberni garden was created in Abashiri. The Port Alberni International Twinning Society organized a community fundraising event for the tsunami relief effort in Japan. Over $18,000 was raised and provided to the Japanese Red Cross via the Abashiri Sister City Society. A group of students, teachers and members of the Abashiri North Stars hockey team visit Port Alberni. 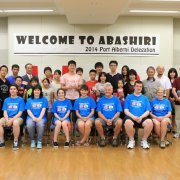 A group of 4 high school students and 3 adults from Port Alberni visited Abashiri. 2014, March Port Alberni Gymnastics Academy hosts an exchange with 10 gymnasts.